IRISH RAIL HAVE announced today that it is going ahead with pay cuts to staff from Sunday August 24. It comes after cuts were rejected by SIPTU and the National Bus and Rail Union. The NBRU says it will now ballot its members for industrial action “up to and including all out strike”. While SIPTU has placed Irish Rail on notice of the intention of its members to engage in industrial action if the pay cuts are implemented. The proposals have been accepted by TSSA, TEEU and Unite trade unions. Minister for Transport, Paschal Donohoe, said: ”I really understand how difficult it is for workers within that company who have made such changes in recent years to be in a situation now where they’re being asked to reduce their wages further. I’m very hopeful that disruption can be avoided. If disruption were to happen it would make it even more difficult for the company and increase the financial difficulty that they’re facing. Both Siptu and the NBRU have now threatened Irish Rail with industrial action after the announcement of the upcoming pay cuts. Siptu Organiser, Paul Cullen, said: “Siptu today informed the management of Irish Rail that our members will engage in industrial action if the company implements planned pay cuts next month. The Rail Committee of Siptu will meet early next week to discuss the details of the company’s intentions. Meanwhile, NBRU General Secretary, Dermot O’Leary, said, ”Our members have rejected proposals over three separate ballots. Our members have not had a pay rise since 2008 and have contributed enormously and without recognition, to the evolvement of a modern rail system. The proposals involve a temporary foregoing of basic pay ranging from 1.7% for staff earning €56,000 or less (that’s 74% of the workforce) up to 6.1% for those earning over €100,000. The cuts were originally meant to last 45 months but will now last for 25. Donohoe said that, ”Four weeks are now available before this proposal is implemented. I want urge everybody that’s there to do all possible to secure these savings and to put the company on the strongest possible footing for the future. The Labour Court found that the payroll savings targeted were “unavoidable if the future of the company and the employment that it maintains is to be protected”. The measures have already been introduced for the senior management team, who have reduced their pay by 6.1%, and board members have implemented a reduction in directors fees. The Labour Court recommended that the proposals should apply for a period of 28 months. Following discussions between the company and trade unions it was proposed that the term of the measures would be 25 months should additional non-payroll savings be achieved. Other measures include reductions in accrued annual leave and rationalisation of meal and lodgings allowances. Total savings targeted over the term of the agreement are €16.9 million. Email “Industrial action threatened as Irish Rail plans to go ahead with pay cuts”. 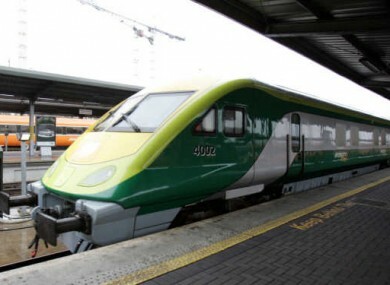 Feedback on “Industrial action threatened as Irish Rail plans to go ahead with pay cuts”.